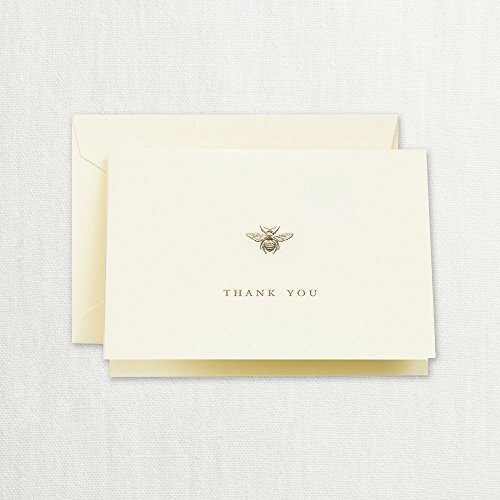 Even those who spend their days buzzing about enjoy their writing time-preferably on this thank you note featuring our signature engraved bee in gold. 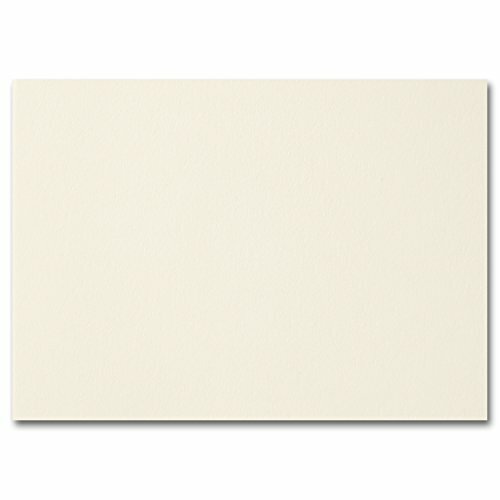 Fold-over panel card, perfect as a note card or stationery. Made from 80-pound cover, Ecru vellum paper. Ideal for imprinting. Papers are recommended for use with professional grade printers, copiers or laser printers by individuals who are comfortable working with design and layout programs (templates not available). Although products are suitable for most laser printers, they are not guaranteed since compatibility can vary by age and quality of printer. cover text weight and Shimmer papers are not recommended for use with ink jet printers. 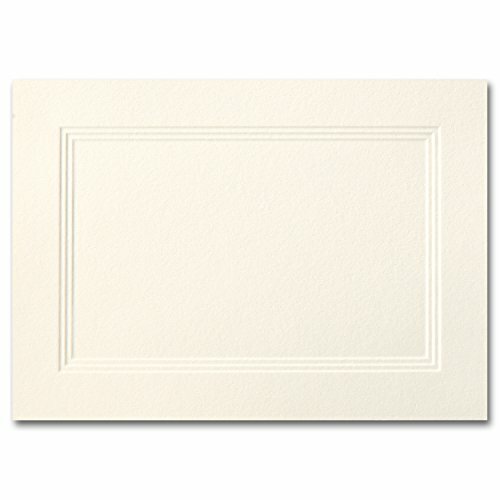 Made in the U.S.A.
Fold-over card, perfect as a note card or Response card. Made from 80-pound cover, Ecru vellum paper. Ideal for imprinting. Papers are recommended for use with professional grade printers, copiers or laser printers by individuals who are comfortable working with design and layout programs (templates not available). Although products are suitable for most laser printers, they are not guaranteed since compatibility can vary by age and quality of printer. cover text weight and Shimmer papers are not recommended for use with ink jet printers. 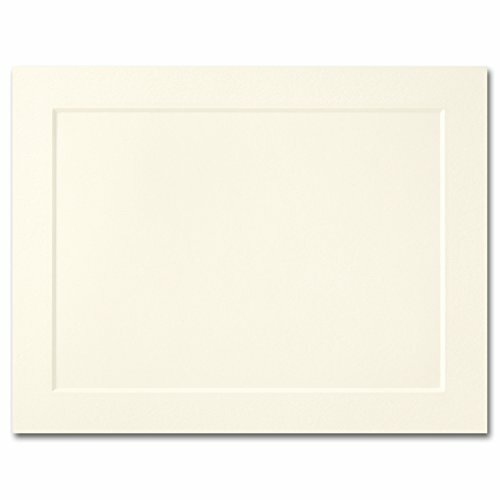 Made in the U.S.A.
Fold-over panel card, perfect as a note card or greeting card. Made from 80-pound cover, Ecru vellum paper. Ideal for imprinting. Papers are recommended for use with professional grade printers, copiers or laser printers by individuals who are comfortable working with design and layout programs (templates not available). Although products are suitable for most laser printers, they are not guaranteed since compatibility can vary by age and quality of printer. cover text weight and Shimmer papers are not recommended for use with ink jet printers. 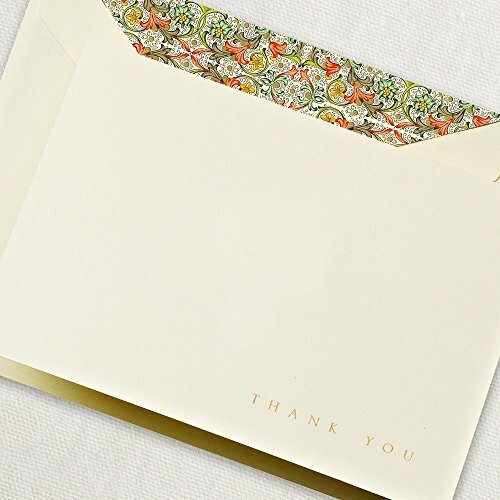 Made in the U.S.A.
Fold-over card, perfect as a note card or stationery. Made from 80-pound cover, Ecru vellum paper. Ideal for imprinting. Papers are recommended for use with professional grade printers, copiers or laser printers by individuals who are comfortable working with design and layout programs (templates not available). Although products are suitable for most laser printers, they are not guaranteed since compatibility can vary by age and quality of printer. cover text weight and Shimmer papers are not recommended for use with ink jet printers. 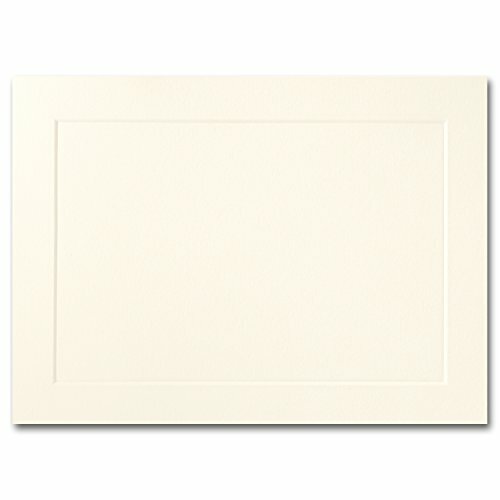 Made in the U.S.A.
Fine Impressions A1 Fold-Over Triple Panel Cards, 3-1/2"
Fold-over panel card, perfect as a note card or Response card. Made from 100-pound text, Ecru vellum paper. Ideal for imprinting. Papers are recommended for use with professional grade printers, copiers or laser printers by individuals who are comfortable working with design and layout programs (templates not available). Although products are suitable for most laser printers, they are not guaranteed since compatibility can vary by age and quality of printer. cover text weight and Shimmer papers are not recommended for use with ink jet printers. Made in the U.S.A. 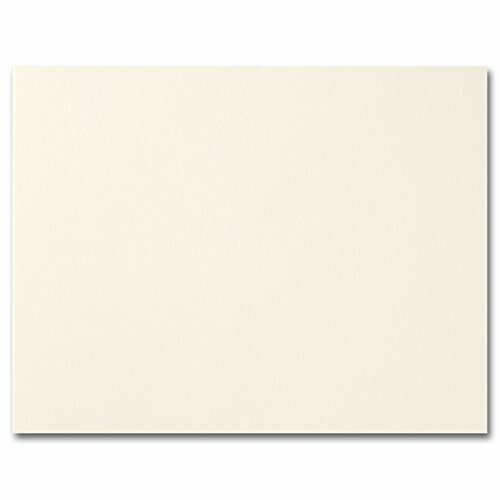 Compare prices on Ecru Fold Over Note at ShopPlanetUp.com – use promo codes and coupons for best offers and deals. We work hard to get you amazing deals and collect all available offers online and represent it in one place for the customers. Now our visitors can leverage benefits of big brands and heavy discounts available for that day and for famous brands.